We are a family of four planning our vacation for the summer and we are going to be booking a narrowboat for three weeks. We are looking mostly at the Avon ring and we will be newbies to the boat and the area. Our daughter (12) is super excited for the trip but she isn’t a strong swimmer and I’m also worried about her going to operate the locks. Could anyone here please share your routines/advice/rules/tips for kid’s safety on your boats? Thanks so much. C.
If you have never done any boating before then its probably much better to start off with canals rather than rivers, there are far more dangers on a river, the water is deeper and flows, sometimes quite quickly. Narrow locks are easier than wide locks. How about the four counties ring this time, then the Avon next year? A good 12 year could probably handle a narrow lock alone, though with a adult nearby just in case. Dave, the Avon Ring contains a lot of narrow canals. It would be useful to know where the OP is starting their trip. The hire company should be able to provide you with safety devices for all of you, if you ask. We took our children on canal holidays from before that age and never had a concerns. We explained the dangers and ensured that they were supervised at all times. By the time they were that age certainly our son was working locks, with adult help. I wouldn't worry about it. I first took my two boys on a canal holiday when they were 4 and 6 respectively. I explained the dangers of water, locks (keeping clear of the edges and gates when they are opening and closing), and the need to wear lifejacket whenever they were outside the boat, crush dangers between boats and bridges, no going on the roof or having hands trailing in the water etc. Over 30 years on they have never had a canal related accident, are very safety aware and good at assessing all manner of risks for themselves and are introducing their young children to the joys of the canals. Your 12 year old is old enough to help at locks, so just make sure she is aware of the dangers, wears a lifejacket and enjoys the holiday, whilst keeping a watchful eye on her. I'm not very well informed about rings, as a long time CCer we have never actually done a ring as such, but I have assumed that the Avon ring would include the River Avon?, quite a tricky river in places and with biggish locks, and as its a ring then it surely must include the Severn??? I started boating with my parents at about 4, we spent many years moored on the Avon near Tewkesbury. I always had to wear a lifejacket and had the dangers of being on the boat and around water explained. The one time I fell in the lifejacket saved me. One thing to think about is if the weather is hot as having the lifejacket on can then be a bit uncomfortable, take a sensible approach as to when it needs to be worn. I've done parts of the Avon Ring a few times, including with 3 kids under 10. The Avon is included but as long as the flows are low I've never found it a problem, and it can be done in 2 days. We did Evesham to Worcester (and beyond) in 2 days a few times. The Severn is easy between Worcester and Tewkesbury as there is only Diglis Lock, which is manned and the 2 wide locks off the river. After that is the narrow Worcester & Birmingham and the Stratford. Always found the Severn boring! Yes, it includes the full length of the Avon, and the Severn from Tewksbury to Worcester. From a boating point of view the Severn is no big deal, you have just Diglis lock to do and of course it is worked for you. In the summer as long as there has not been heavy rain it is benign, but I would recommend going clockwise so you go down stream on the Avon as the locks are much easier going down. 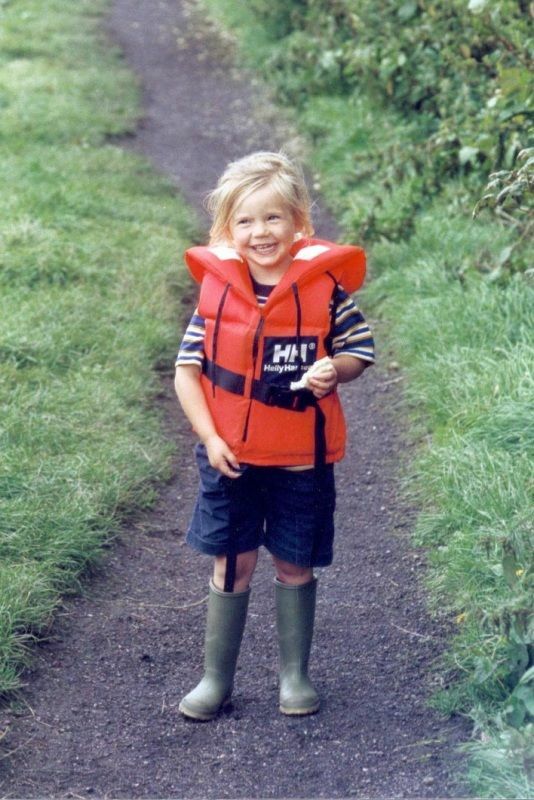 When our children were small - around 8 & 6 - we started on the canals and made it a firm rule - no exceptions - that whenever they went on deck or on the towpath they had to wear a buoyancy aid. We bought them one each, and they very quickly took to them and they became also most a "badge of office" . As a consequence they quickly became proficient and confident around boats, and within a very short time they could handle most locks etc by themselves. We were, of course, always close by in case they needed a little help with the heavier lock gates etc, but it soon became the case that Mum & Dad were almost superfluous, especially when Grandma came as well and then the combination of her and the kids made a formidable team! May I suggst that the 4 counties ring may be more suitable for a first trip than the Avon Ring to allow them to learn the ropes (excuse the pun). You could progress onto the Avon Ring in a year or two once they become old hands at the game. Have a great holiday whatever you decide. I must admit I've never insisted on my two wearing lifejackets on canals, but insisted on them on rivers, like the Severn and the Weaver. They have boated all their lives. My son fell in on the Staffs and Worcs from the front of the boat when he was about seven. He immediately headed for the bank, put his feet down and clung to the side until one of us could get on the towpath to haul him out. They have both pushed gates since they were old enough, and from being nine or so they have worked paddles, and after working enough got their own windlasses presented to them with their initials on so there's no arguing who's is who's. they both now love working locks and can both steer the boat with a supervising dad with them and are now aged twelve and fourteen. Wow! Thanks so much for the help. We are looking at the Avon ring because we haven’t been to those parts of the U.K. Our plan is to book the boat from Rugby and do the ring clockwise for three weeks. We know the route includes the river, but is it more dangerous than the Four Counties ring? We want to do the Shakespeare sites, and the Warwick Castle, which I read you can detour to off the Avon ring. There are other things we want to do, but if the Four Counties ring is much safer, we could do those things by car I guess. She is super excited about the trip and we know she will be really into steering the boat and operating the locks (she will be supervised at all times). As we will be newbies it sounds like the best way is to have her wear her life jacket at all times she is outside the boat cabin, and when we are walking at the sides of the water, and operating the locks. When docking the boat, do you allow your kids to walk along the side of the boat? We’ve seen pics of people doing it when docking, but it looks kind of dangerous and not something I would be comfortable with her doing. Do you have to be on the sides to dock the boat properly? We don’t want to exclude her from being involved, but even with a life jacket on, I am worried that walking on the sides of the boat could be pretty unsafe. Rugby is not on the Avon ring, it is 2 days and 49 locks from Kingswood junction where you would join the ring. With three weeks available this is no problem at all, but you should be aware of that, and that you have and additional 98 locks to do over those on the Avon ring if you start from Rugby. I would suggest that you don’t walk down the outside of the boat unless you have to, go through the boat. If you start from Rugby you will have to pass through Warwick to get to the Avon Ring. A hire of three weeks gives you the time to combine the Avon and Warwickshire Rings. Your itinerary would be Rugby - Braunston - Napton - Warwick - Lapworth - Stratford - Evesham - Tewkesbury - Worcester - King's Norton - Birmingham - Fazeley Jn - Hawkesbury Jn (Coventry) - Rugby. From King's Norton you will otherwise have to head back to Lapworth and retrace your steps. Note that although the canal crosses the River Avon in both Rugby and Warwick there is no connection. The Avon is only effectively navigable below Stratford for your purposes. I see no reason why you should change your plans to just canals if you particularly wish to do the Avon rather than just any canal holiday. When docking the boat, do you allow your kids to walk along the side of the boat? This will vary with boat owners, I don't walk along the gunnels if I can help it! Most of my falling in incidents have been whilst walking along the gunnels, it is very easy to slip your footing and there is only likely to be one outcome. I would suggest always walking through the boat to get from one end to the other. There is also the risk of crushing a foot between the boat and anything you are coming alongside if stood on the gunnels so another reason not to do it. If you want to take the Avon ring leisurely then you may want to reconsider your starting point, if you have already committed to hiring from Rugby then it is doable as JP has put above, you could have a look on Canal Planner (https://canalplan.org.uk/index.html) to get an idea. My three kids were boating from birth, so they have grown up with it. As babies they were strapped into a car seat which was tied down to the boat. As soon as they were toddlers we had a strict rule that lifejackets were to be put on before leaving the cabin, and kept on all the time outside, except when we were going on side trips away from the canal. (shopping, visiting attractions etc.). When docking the boat, do you allow your kids to walk along the side of the boat? We’ve seen pics of people doing it when docking, but it looks kind of dangerous and not something I would be comfortable with her doing﻿. ﻿ Do you have to be on the sides to dock the boat properly? It can depend on a range of factors - how wide is the gunwale walkway? Is it level or does it slope towards the water? How non-slip is the surface? Is there a decent handrail along the cabin to hold onto? How surefooted and sensible is your child? And not least, what is your own attitude to the risk? I suggest as a first timer you probably don't want to encourage this sort of thing (my youngest age 10). As well as life jackets when off the boat you may need to remind the children to be sensible when near the water - no running near the waters edge or around locks, for example. When crossing lock gates always keep hold of the handrail and keep three points of contact - i.e. only one hand or foot at a time not in contact with the walkway or handrail - particularly when stepping from one gate to the other of paired gates. When winding paddles try to keep two hands on the windlass handle (not always possible when winding paddles down), and do not leave the windlass on the spindle of a raised paddle - if the paddle should fall the windlass can fly off and hurt someone. Keep all limbs inside the boat when under way, in locks and when passing through bridges and tunnels. When mooring, wait until the boat has reached the bank before stepping off. Falling in off a boat which is still moving towards the bank is not to be recommended! Providing the rivers are not in flood you should be fine on the Avon and Severn. Doing the Avon Ring from Rugby will give you experience of a range of narrow and wide canals and river, mostly rural but with a few urban sections. And you will pass over the longest aqueduct in England (the longer one with the unpronouncable name is in Wales). In terms of the Shakespeare attractions, Mary Arden's House is a very short walk from the canal at Wilmcote, and one of the highlights of the trip is undoubtedly emerging from the canal under the Birmingham Road bridge to enter the basin at Stratford, right in front of the theatre. You can either moor here for the town, or drop down onto the river and moor on the meadows opposite the theatre and walk back across the old tramway bridge into the town. You will need a separate licence for the River Avon. The hire company may sort this out for you, but if not see https://www.avonnavigationtrust.org/index.php?id=10 for information. You will need a 7 Day Through licence. Love the comments about the kids. Couldn't agree more. My only objection about the comment is the timing on the ANT licence - if they are doing it in July there are three festivals to go to - Stratford on the 6th July, Evesham on the 13th and Pershore on 20th - we are booked into all three this year! With a center line there is no need to walk the gunwales, it causes cabin side paint scratches anyway. We are booked into the Stratford festival. Hoping for good weather again! I've fallen in once and my wife has fallen in once. Both occasions were from the gunwales, ie when walking on the side of the boat. We tend not to do that now! As @Boater Sam says above, there should be very little need. My kids holidayed on narrowboats for years (daughter was 3 months on her first voyage) and had zero issues - perhaps because they did as we said and not as we did! Lifejackets were standard practice for them at all times; we now do lifejackets on rivers and in the dark (including all but the shortest of tunnels). We did the Avon when relatively new to the game and had no problems with the actual boating, but some unforeseen heavy rain meant the river was closed to navigation for 3 days. If you've got the hang of things before you get to the river and conditions are benign, you may well have no problems - but this is an example of what rivers can do with little notice. I'd be inclined to leave rivers out of any time limited schedule even now.